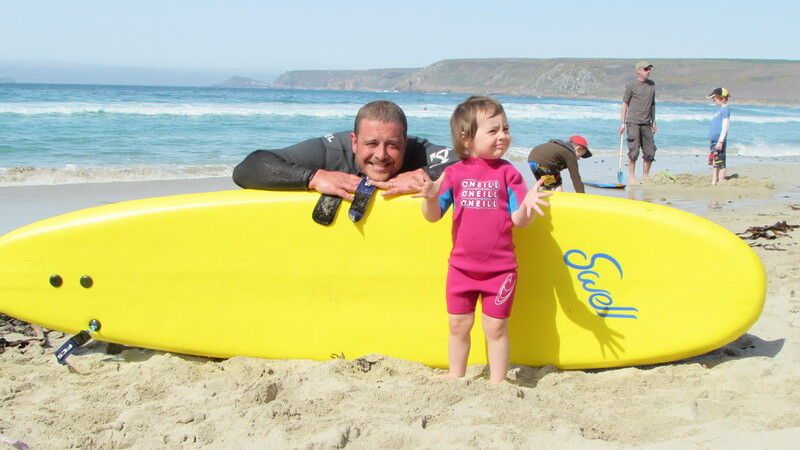 Global Boarders Surf Co. Cornwall are excited to introduce two highly trained surf coaches to our growing team for 2016. David Rainey (27) from N.Ireland. Growing up in the sunny city of Belfast, it was there David ventured northwest to Donegal where he developed a love for the ocean. He has spent many years teaching surfing in Donegal and on the north coast of N.Ireland; moving to teach in ‘warmer’ waters for the first time this year. A shortboarder at heart, David is in the water day in day out and enjoys repairing his own boards. Working with various outdoor companies has given David the opportunity to work with a wide range of groups, gaining qualifications in mountain biking, climbing and mountain leadership. When his feet aren’t on his shortboard, David is a keen runner competing in local 5 and 10k races. If he is not on his bike or on the cliff face he enjoys a spot of spearfishing. Having travelled to Bali, Canada, Costa Rica and beyond with his surfing he will bring this experience as a dedicated and hardworking surf coach to the Global Boarders Team. A keen waterman and experienced local surfer, Luke is well travelled having been lucky enough to surf such regions as Africa, Indonesia, Australia and the Americas. A graduate in English and Creative Writing, Luke is essentially a progressive longboarder who loves to develop is abilities with various types of classic and fun style boards. During is spare time Luke is a very keen, and successful poet, who also writes short stories which he is working towards getting published. Aside form surfing, Luke enjoys racket sports such as badminton and tennis, and holds a day skippers boat licence. He has extensive experience working with a diverse range of people from his role as a care assistant within the mental health sector. This has helped him develop various skills for his role as a enthusiastic and fun loving surf coach. Luke is married to his long term partner of 12 years Samantha and has two children, Eva who is three, and Lily who is one. Global Boarders Surf Co. Cornwall are excited to welcome David & Luke to the 2016 team, look out for them both in the sea and in our new ‘Surf Shop’ on the high street in Penzance.